High school student Gi-Tae (Lee Je-Hoon) takes his own life. 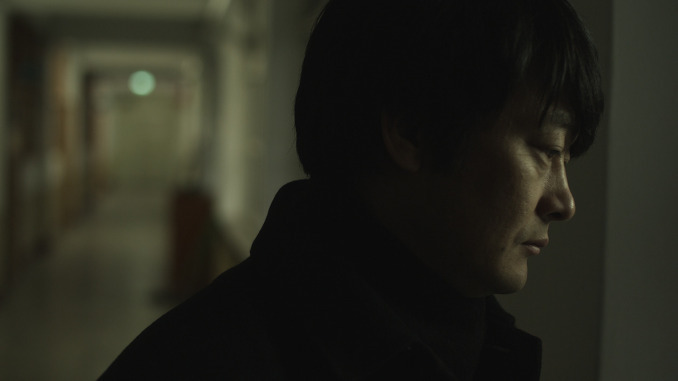 His father (Jo Sung-Ha) feels a heavy sense of guilt and confusion over his son's death. The father was largely absent from Gi-Tae's life. He decides to search for answers on his son's death. Gi-Tae's father finds a picture in his son's desk drawer. The picture consists of Gi-Tae and high school friends Dong-Yoon (Seo Jun-Young) and Hee-Joon (Park Jung-Min). Gi-Tae's father is able to locate Hee-Joon. The high school boy is evasive with answers, explaining he transferred to another school prior to Gi-Tae's death. Hee-Joon also mentions that Gi-Tae's best friend was Dong-Hoon. Gi-Tae's father thinks back to his son's funeral and recalls that Dong-Hoon never show up for his best friend's funeral. Gi-Tae's father then asks Hee-Joon to find Dong-Yoon, who has now dropped out of school completely. What happened to these three former best friends? 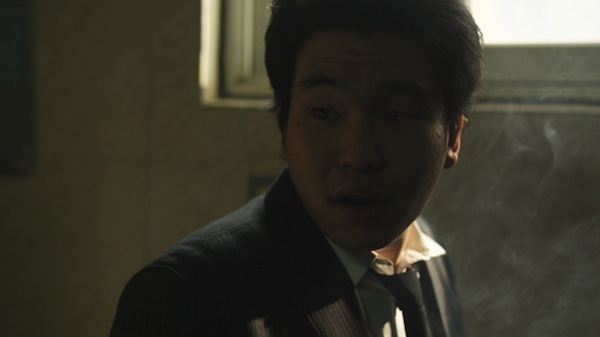 "Bleak Night" was originally created as a graduation project for the Korean Academy of Film Arts. ryung Jun 04 2016 9:11 pm Jehoon n Joonyoung reunion in secret door.. Magnificent film with exceptional acting on Lee Je-Hoons behalf. A must watch for everyone, since we all have been a part of that friendship that leads astray. Tracey Aug 13 2012 12:45 am Great actor Lee Je Hoon!!!!!!!!!! Great movie!!!!!!!!!!! 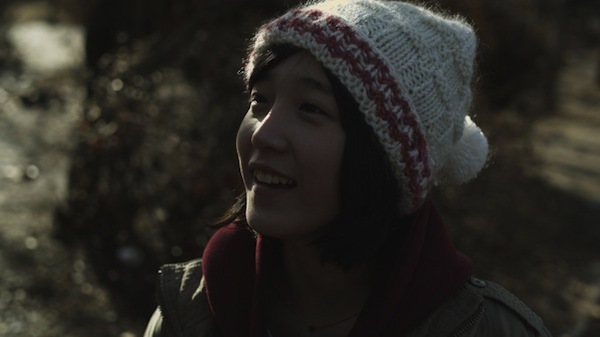 Walkandwalk Mar 18 2012 8:17 pm Bleak Night is possibly one of the most beautifully filmed works I’ve ever seen, and that’s not within the scope of Korean cinema but world cinema as a whole. The film very much reminds me of Koreeda’s Distance (2001), as the premise also happens to be a deceased person’s relative (in this case, Ki-tae’s father) looking back to uncover the reason behind their loved one’s death. 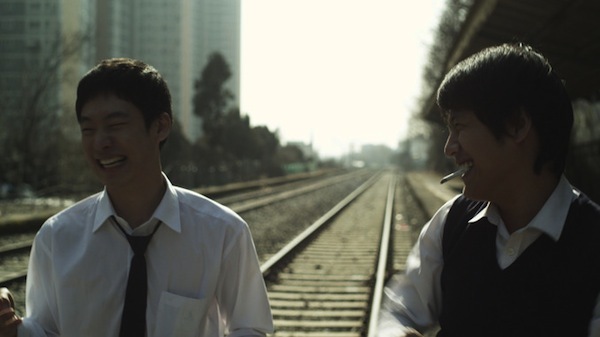 Certain railroad scenes are similar to Distance as well, which makes me wonder whether Yoon Sung-Hyun has been influenced by Koreeda and Distance in particular, but regardless, Bleak Night still very much holds its own. In fact, while not as haunting and puzzling as Distance, I can say that I relate to this film more because the subject matter is so relevant to our daily life, as we’ve all been through all the drama and heartbreaks of highschool and friendship going astray. All in all, excellent film that has quite shook me (the subject matter as well as the splendid film-making), and I can’t wait to see the next project done by the young director Yoon Sung-Hyun. Noraya Dec 27 2011 11:35 am I'll definitely check this movie, for the strory and Lee Je-hoon's acting. Still waiting for the dvd, it's rather difficult to find in my country (Indonesia). Ki Mar 26 2011 12:34 am Prior to watching "Bleak Night" my biggest fear was that the movie might be yet another parent-chases-child's-killer type of movie. I've seen enough of those the past year so that fear muted my expectations a bit. Well, not long after the movie began I forgot all about that and was totally drawn into a highly impressive movie. The movie unfolds simply as a father (who was absent in his son's life) tries to find the answers to why his son committed suicide. Then a serious of flashbacks tells a riveting story of three high school boy's and the dissolution of their friendship. With each succession of flashbacks the tension builds as the viewer learns details of what happened in step with the father. The boy that committed suicide Gi-Tae (played wonderfully by Lee Je-Hoon) turned out to be a bully at school and the movie does a wonderful job to explain his hurt psyche through his sometimes violent actions. Violence sometimes erupts, as does heartbreak. The story concludes in a way where there isn't a clearcut answer, but the viewer can certainly draw their own conclusions on what happened. For the first 3 months of the year, "Bleak Night" would be my favorite movie along with "Late Autumn". Can't wait to see what the director will do next. Do check this movie out if you get the chance.